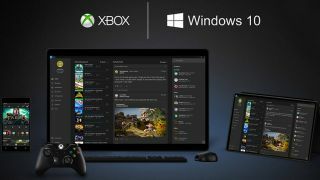 Microsoft is planning to introduce self-service refunds for digital content that’s been purchased through its Xbox Live and Windows 10 stores, according to recent reports. The option was first reported on Reddit by user gaymerRaver, who noticed the option in the latest alpha release of the Xbox Insider Program. The new option will make it possible for users to get full refunds on any digital software they’ve purchased, so long as they’ve owned the game for less than 14 days and played it for less than two hours – there’ll be no speed-running and returning games through this system. There are also limitations on what kind of games qualify for a refund; DLC and Season Passes won’t qualify, and nor will some Windows 10 apps. Microsoft has also said it reserves the right to deny a refund to anyone it thinks is attempting to cheat the system. What exactly would be considered cheating the system isn’t clear, but we imagine if every game you purchase ends up getting returned just before two hours have been completed, red flags may start appearing. The most useful thing about this returns program is the fact that it’s self-service, like Valve’s Steam store. This means you won’t have to send any emails, make any phone calls or deal with any other people at all in your quest for a refund. As long as your purchase qualifies you shouldn’t face any problems. It’s not clear when the self-service refunds option will leave the preview stages and become available to all Xbox users, but when it does this will make Xbox the first console-based store to allow refunds for digital purchases that have been downloaded and played.